My recent trip to the Lower Kinabatangan Wildlife Sanctuary produce an unexpected encounter with one of Borneo's rarely encountered feline. This is none other than the Bornean Clouded Leopard (Neofelis diardii). My last personal sighting of this feline in the Kinabatangan was approximately about a year ago and to see it back again - this time with one slightly decent photograph will be something that i will never forget. The extreme rarity of seeing one in the wild makes me shiver with joy every time i recap back on this wonderful moment. It all started when we spotted two bright orange eyes staring at us through a thick undergrowth foliage - and i knew that we were looking at a feline at that moment. But due to the thick undergrowth we could not see it properly. The feline seem to know that we were there and continued to stay put at its position without moving. At this period of time we still have not identified this cat species until it suddenly moved and we saw a very long tail approximately about a meter long that we knew that it is a Clouded Leopard that we were looking at. The leopard move along the river and suddenly stop at a small opening as if it seems to be inspecting us - and in this split 10 seconds i saw it peering through the only opening of the undergrowth thicket i manage to shoot 7 frames hoping for the best - as never had my hands tremble when pressing the shutter - the feeling of seeing a Clouded Leopard in the wild was just too much at that moment. That 10 seconds went by quickly as the leopard continued moving back into the forest. We waited for another 10 minutes or so but it never came back out. This is the only one (i would say) 'decent' photo that i manage to capture and under the circumstances at that moment i will say that this is a success for me. Photo taken at 8:58 pm on 17 November 2010 with a Nikon D 300 + 70-300mm VR lens at ISO 1600, f 4.5 built in flash on rear sync mode. 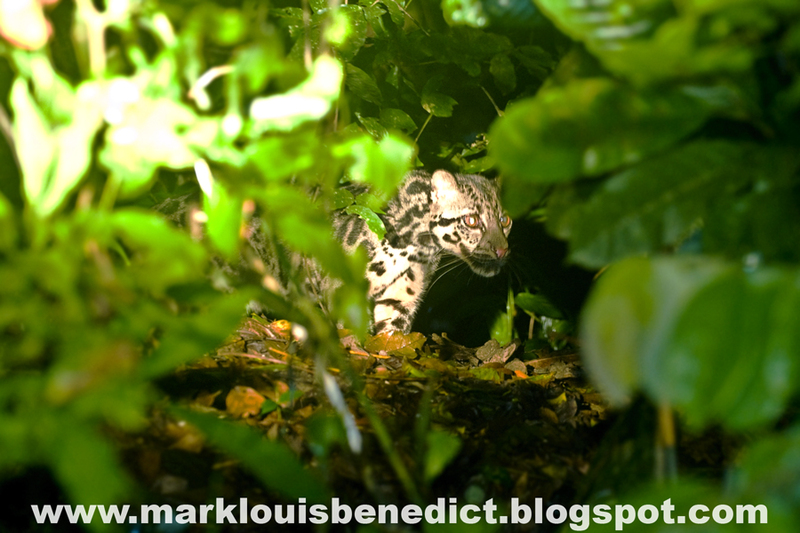 Hello Mark, I think you were so lucky to capture a picture of a clouded Leopard in the wild. The picture was just amazing and I liked it a lot. I think it should have been an amazing experience for you. Please keep sharing some amazing experiences and pictures like this with everyone. Rare of its kind, your'e so lucky my friend. Thanks.I have made a website which is technology related. The unlimited technology news store. Cede Prudente Photography Blog "Borneo Wildlife Photographer"